Posted by skyvu on Friday, May 25, 2018 in News, Payroll, Projects, Reporting. Assignment with POET 0000 tab: This tab identifies assignments that have been costed without an appropriate Expenditure Type. 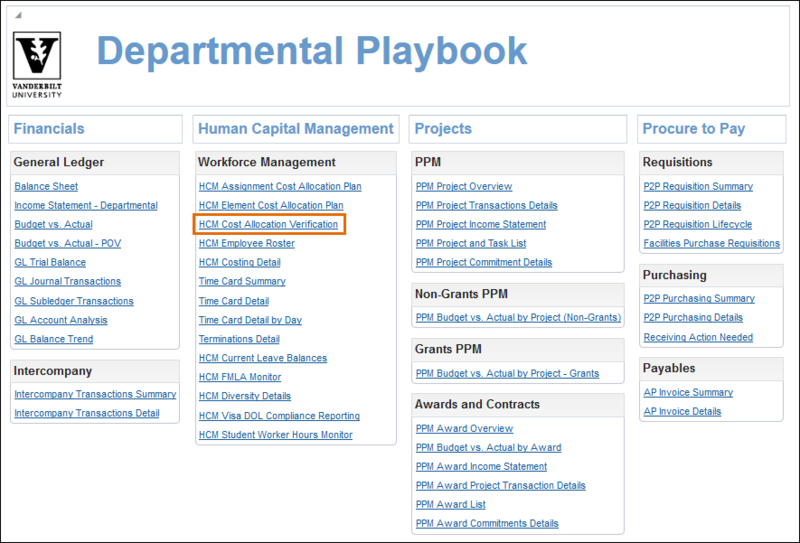 If an assignment appears on this list, the HCM Specialist must update the Expenditure Type in order to avoid errors in payroll processing. Element with POET 0000: This tab identifies pay elements that have been costed without an appropriate Expenditure Type. If an assignment appears on this list, the HCM Specialist should must the Expenditure Type in order to avoid errors in payroll processing. HCM Specialists should run this report any time they make edits to payroll costing and review all tabs in order to identify and correct entry errors timely.